Local to the A19 and the A1 we cover all of the North East of England. We offer a reliable, friendly and affordable solution to your central heating needs. With over 30 years experience in the trade you know you are in good hands. Our aim is 100% customer satisfaction as we depend on repeat business and referrals to your family and friends. All workmanship is guaranteed for the life time of the boiler; you will be made aware of manufactures guarantees on your no-obligation, free quotation. We look forward to hearing from you! We cover all aspects of heating, including but not limited to underfloor heating, unvented cylinders, gas boiler installations, servicing & repairs, emergency plumbing, renewables including heat pumps and solar thermal, as well as biomass boilers. 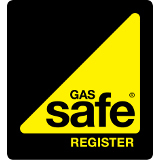 For your peace of mind, we are Gas Safe Registered, HETAS Registered and are Baxi Approved Installers. We offer a range of services including underfloor heating, unvented cylinders, servicing, repairs, emergency plumbing, renewables, biomass and much more! We strive to achieve 100% customer satisfaction as a large part of our business is referrals and repeat business.